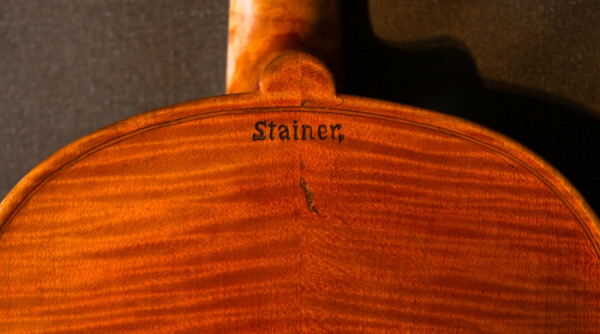 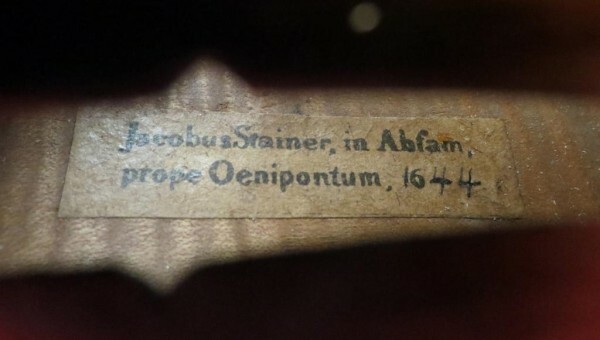 A very nicely made German violin, in excellent condition, labelled Jacobus Stainer 1644 and stamped ‘Stainer’ on the back below the button. 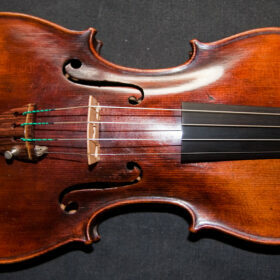 It may not be a Stainer violin but this instrument really sounds great. 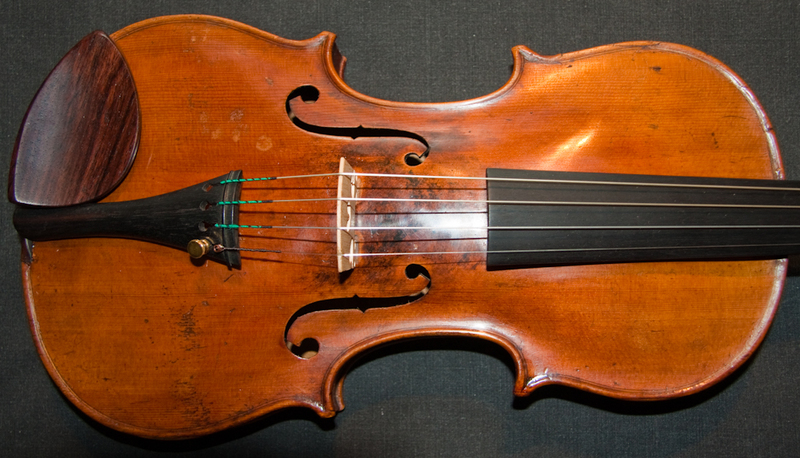 SKU: 00024 Categories: Sold Violins, Violins, German Collection, 19th Century. 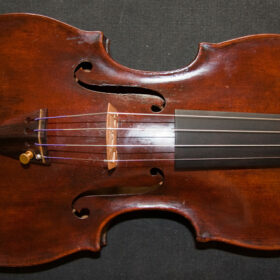 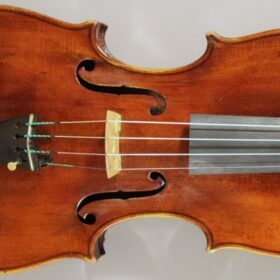 Tags: 19th century, antique violin, german, violin. It may not be a Stainer violin but this instrument really sounds great. 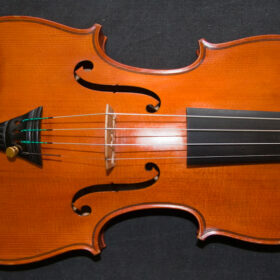 On all registers it produces a strong and penetrating sound, right up to the top of the E string. 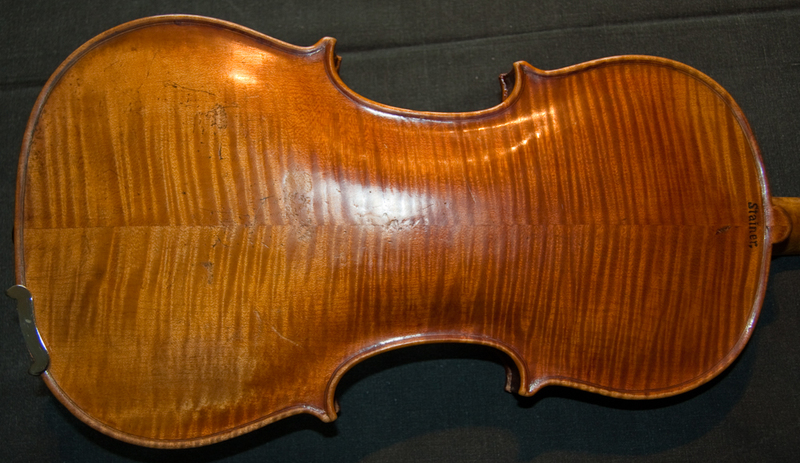 Where many violins struggle is in 5th and 7th position on the A & D strings; here this violin excels. 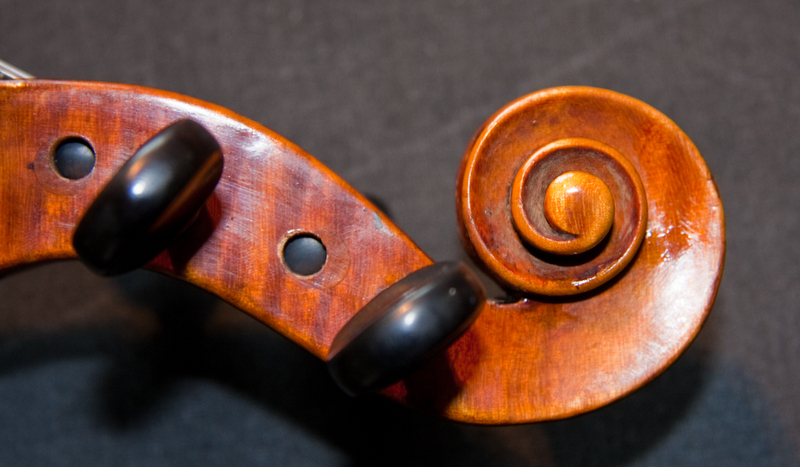 Meanwhile the lower range is wonderfully dark and sonorous. 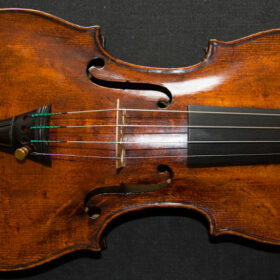 The choice of wood is excellent and it is very well constructed, whilst it is finished in a nice delicate orange varnish which shows ware and patina appropriate to its age.